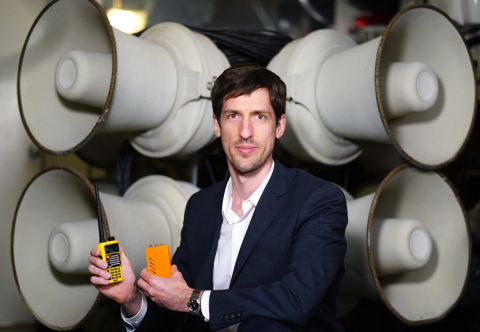 SAN FRANCISCO--(BUSINESS WIRE)--Bastille, the leader in enterprise threat detection through software-defined radio, today unveiled SirenJack, a vulnerability it found in emergency alert systems supplied by ATI Systems, one of the leading suppliers of warning sirens in the USA. ATI customers include the City of San Francisco, other large urban and rural communities, military installations, universities, and industrial sites including oil and nuclear power generation plants, potentially affecting millions of people. Featured customers on the company’s website include One World Trade Center, Indian Point Energy Center nuclear power station, UMass Amherst, and the West Point Military Academy. Bastille originally found the SirenJack vulnerability at the ATI installation in the City of San Francisco, and confirmed it at a second installation, and urges all ATI customers to contact ATI to investigate whether their system is affected. For more information on SirenJack, including remediation suggestions, visit www.sirenjack.com.